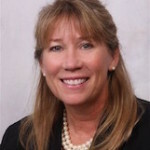 Susan Shultz-Gelino is the Director of Business Development for American Cruise Lines. She has been with American Cruise Lines for over 20 years and has worked in Sales and Marketing for over 30 years, beginning her career with the Whirlpool Corporation in Benton Harbor. During her tenure with American Cruise Lines, Susan has led the American Cruise Lines Sales Department to record numbers. Based at the company’s headquarters in Guilford, CT Susan was integral in expanding the company’s sales force with the opening of its Salt Lake City, Utah sales office. She has been expert in developing new sales strategies for the Line’s Travel Agent partners across the country. In 2018, Susan has added several Business Development Managers throughout the U.S., is expanding the Line’s Group Sales efforts and continues to lead the company’s growing Sales Department year after year. Susan has also held the position of District Supervisor for Consumer Affairs in Boston, MA and has been actively involved in the Niche Cruise Marketing Alliance (NCMA), chairing its Marketing Committee and serving on its Executive Board for 3 years. Susan is a native of Louisville, and has a Bachelor’s degree in Economics and Management from Centre College, Danville, Kentucky. Currently, she resides in Clinton, CT with her husband. Travel Research Online (TRO): I got word that you’ve been doing a lot of interesting group trips for American Cruise Lines. Is that right? Susan Shutlz-Gelino (SSG): Yes, we are doing a lot more theme cruises for groups like wine cruises or Civil War themed cruises for history buffs. The growth here at American has given us a tremendous advantage in catering to groups. Today, we have 11 small ships, 3 different styles and over 35 itineraries coast to coast; so, we can offer an enormous amount of flexibility and choice for those interested in Group Travel. TRO: It’s been a while since you were last interviewed on TRO. How have you been? Did you ever get a chance to cruise to Australia, like you mentioned in your previous interview? SSG: No, unfortunately I’ve been working too hard. Someday I’ll make it to Australia. TRO: Group travel is a big niche in the industry. Has the way American Cruise Lines works with groups changed over your 20 years at the company? SSG: Yes! We have changed our Group program a lot. Now, you only need 10 guests to be considered a group. And agents can start a group booking with 10 people and then keep adding on. For example, one group we had started with 20 people and ended up with a total of 140 people. We are also now better able to personalize many aspects of the group experience with private cocktail parties and private dining. On our newest modern riverboats, we have many more meeting spaces to accommodate groups of all sizes as well. TRO: Is there any piece of advice you would give travel agents when booking group travel with a cruise line? SSG: Call the cruise line’s Group department and see what kind of marketing materials they have to help you promote your group. Educate yourself on all the options, take advantage of the travel agent training programs and webinars that many cruise lines offer. American has a great Travel Agent Portal on its website with tons of useful info and marketing materials for travel agents to download and use. The old adage of knowing your client and knowing the product inside and out is still the best way to be to be sure your client has the best Group Travel experience possible. TRO: Of course, American Cruise Lines has numerous ocean and river cruise itineraries for various destinations. Can you tell us which of these seem to be trending as of late? SSG: I’d say Alaska is still one of the biggest travel trends. American has added a third Alaska itinerary so we have an even greater variety of itinerary lengths to choose from. We have 8-day, 11-day and 14-day cruises available with unique small ship experiences you can’t find on bigger lines, such as an overnight stay in Glacier Bay. And to keep up with demand, we’ve also added a second ship to sail our West Coast and Alaska itineraries for the upcoming 2019 season. TRO: What can you share with our readers about any upcoming projects, or new itineraries, at American Cruise Lines? SSG: Well, of course, here at American Cruise Lines we are eagerly anticipating the historic debut of American Song—the first modern style riverboat in U.S. history. It is going to be an exciting fall season as American Song will make its inaugural sailing on the Mississippi from New Orleans this October 6th, 2018. And it is also New Orleans tri-centennial year, so I expect it will be a blast and a particularly fantastic time to try a Mississippi River cruise. For more information about American Cruise Lines, please visit www.americancruiselines.com.